But they sure did it this time. In a historic choice for the accolade envisioned as the US equivalent of the ancient "Golden Rose" conferred by the Popes, this Fourth Sunday of Lent brought word of the prize's 135th laureate: Missionaries of Jesus Sister Norma Semi Pimentel (above), head of Catholic Charities in South Texas' 1.6 million-member Brownsville diocese, a figure rocketed to broad prominence as her frontline role in ministering to immigrants and refugees has increasingly taken a polarizing center stage on church and civic fronts alike. 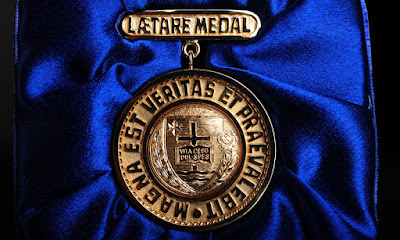 In another sign of this edition's significance, Pimentel is the first woman of color to receive the medal since 1990's selection of the Servant of God Sister Thea Bowman, a prize which would become posthumous as the mighty, Mississippi-born Franciscan of Perpetual Adoration – the apostle of Black Catholicism's "second golden age" of the 1970s and '80s – died of bone cancer at 52 before it could be conferred. Among the nation’s women religious at large, Pimentel is the first nun-winner since 2013's joint award to the co-founder's of Chicago's SPRED ministry for people with special-needs, Sisters Susanne Gallagher and Mary Therese Harrington.